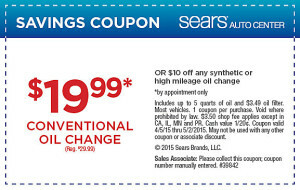 Looking for a great deal at Sears Auto? You have come to the right place indeed. 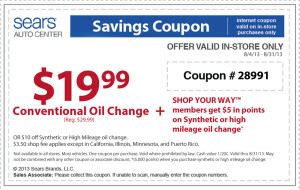 Sears has been advertising different oil change coupons throughout the year, but has stuck with this same offer most of the time. The price of an oil change at Sears Automotive Centers has consistently been around $26.50 for all of 2012, that is if you don’t find a discount first. 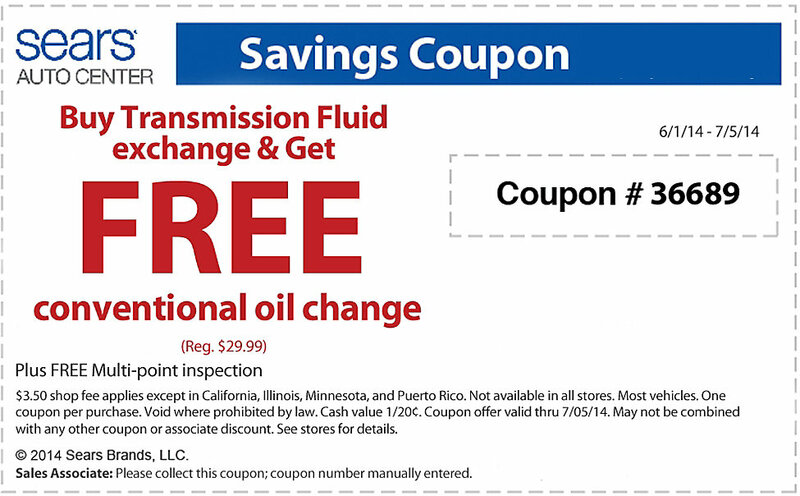 Use the deal below, and you’ll save about $9 on an already cheap oil change. 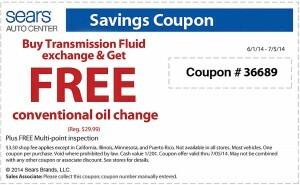 You can use this to get a conventional oil change for just $17.99. 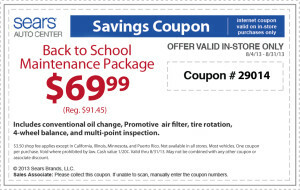 That deal includes a drain and refill of conventional/standard motor oil and I believe a brand new filter. You may want to call your location to find out if the filter is included. 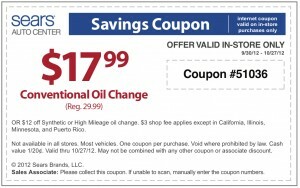 The other option on this deal would be the synthetic or high mileage option. 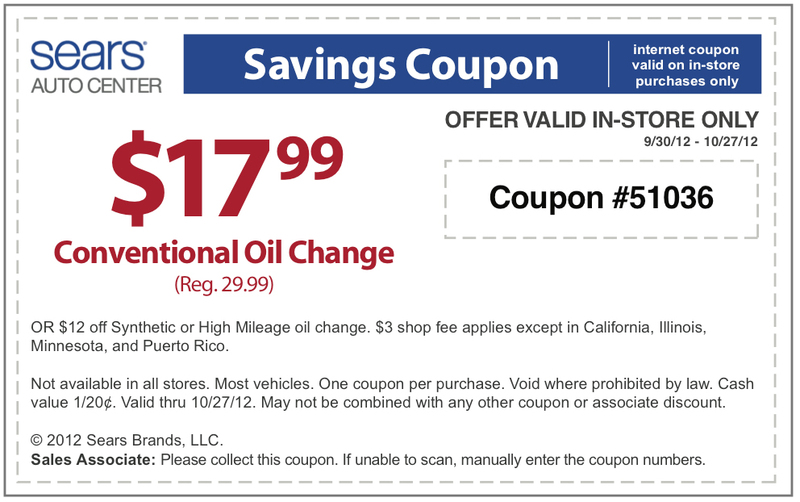 These premium oil changes often cost a considerable amount more than a conventional one, so any savings will help. In the case of the October deal at Sears, you can save $12 instantly on either option.